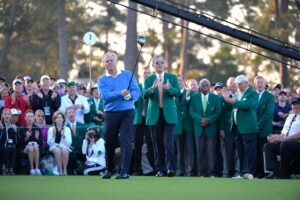 Jack Nicklaus pierced a chilly but blue sky Thursday morning with a drive that bounced down the middle of the first fairway and past his friends and fellow champions Arnold Palmer and Gary Player, as The Big Three christened the start of the 78th Masters Tournament with the ceremonial tee shots. Both Nicklaus and Player split the fairway, but it was the Nicklaus Black ball that rolled past the Black Knight by several yards to give the Golden Bear bragging rights for a year. The Big Three then held court for the media, talking about their special friendship and connection to the Masters. 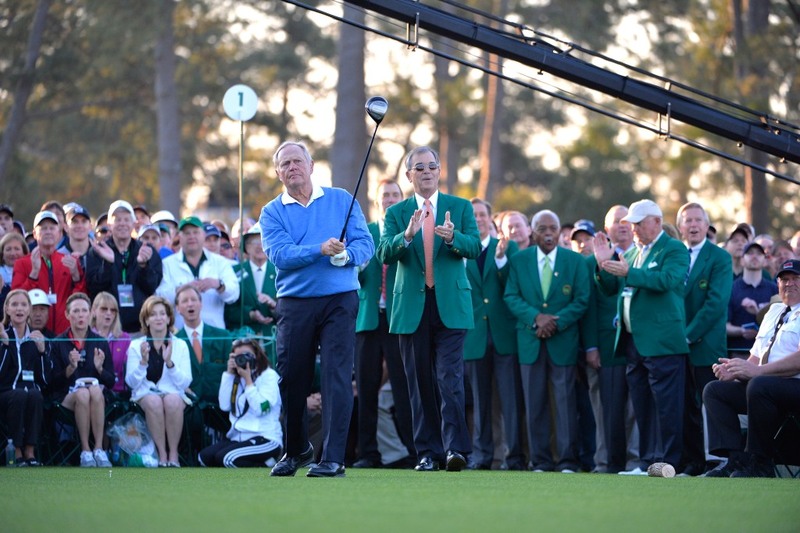 The trio has combined to win 13 Green Jackets in the tournament’s 80-year history, including seven consecutive from 1960 to 1966. In an astounding 147 Masters appearances, they either won or finished second an impressive 21 times and compiled 32 Top-5s and 49 Top-10s.